Back in December, it had occurred to me that I had now been on my 4th vice within a year! The volume of flies, the variation of hook sizes were just consuming budget range clamp vices like a packet of chocolate digestive biscuits. I was tying for myself and tying brooches commercially but i wasn’t treating them badly. But what was going wrong? Small bolts would crack and split on tightening, the vice head would fall apart, the vice would move a lot when tying and the jaws would chip away and the most frustrating part would be the loosening of the jaws. These issues appeared to stem from poor build quality and although it didn’t stop me tying, it hindered my enthusiasm. I had already spent just over £100 on budget vices and didn’t want to be doing the exact same over the course of 2018 and beyond. After that moment, I decided that I just wanted to own a heavy engineered model which would serve me a lifetime. The only problem was, there was too much to choose from! In my 20+ years of flyfishing, if there’s one thing that’s noticeable is that the standard of flytying vice has certainly improved. Every man and his dog had the entry level vice and this did the trick when it came to tying the odd fly. 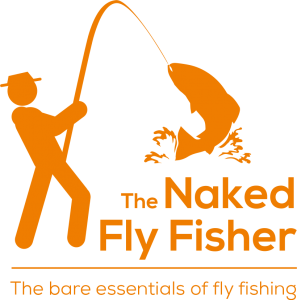 But with the vast improvement in materials, hooks, fishing methods, vices needed to be able to withstand the pressures of being able to cope with tying large volumes of flies on a range of hooks and sizes. Vices had to evolve to satisfy the needs of the world’s biggest group of perfectionists….the fly tyer! Rotateable head? DONE! Solid base for mobility? DONE! Different sized jaws? DONE! Tool bar? DONE! Vice manufacturers have listened to the needs in a highly competitive market and tried to steal a march on rivals quickly. I consulted many local tyers to get an overall impression of what was out there. I soon realised that most of the people I asked were also operating off a budget vice. Too many recommended sticking to the budget route, with the condescending overtures. A generic phrase became more common, “Any vice will do. You don’t need to waste your money on something expensive. Owning an expensive one won’t make you tie better flies”. I don’t think they understood that the budget vices weren’t cutting it for the amount of tying I was doing and that I was reluctant to spend another £100 on 4 vices and still have the most recent £25 version to show for it. Within 3 years, I would have covered the cost of a high end vice. In theory, if my next vice lasts over 3 years then I have already found value! I narrowed it down to Stonfo, Renzetti, Wolff, Regal and HMH to name a few. But what did I need? I wasn’t too fussed on the fancy features. I could basically tie any fly without the need of cosmetic add ons, no matter how easy it made my job. I just wanted a heavily engineered beast, which could hold any hook, combining a traditional look, a reputation for durability and the longevity to last a lifetime. After plenty of dialogue in global angling circles, I had learned of people who were using Regal Medallion Vices that had been passed down through generations. That was me sold, knowing that I required something that could survive the apocalypse, my tying and 2 little ‘uns in the house… I ordered a Regal Medallion with Stainless Steel jaws. I had always been drawn in towards the antique simplistic look of the Regal vice. What if it were to break like the rest? If there was damage or breakage to a budget vice, it would see you seeking a new vice. Regal however, offer customisable/replacement options which include long or short stems, clamp or base options and even customisable jaw sizes or colour which really depend on the volume and type of tying that you require. Jaws include Traditional, Midge, Big Game and Stainless Steel. While all options can still accommodate a variety of flies, you can narrow down to what you would tie most of. Given the variety of flies I tie, and the need of something bomb proof, I went Stainless Steel. I might also add that Regal do offer a repair service that can be used but if you are outside the US, it may be cheaper to just buy the replacement part! To say I was excited was an understatement. I tracked it every step of the way, until it reached my door 48 hours later. It still felt like an age but boy was it worth the wait! Given the price, I’ll admit I expected much better presentation. It was simply a plain white cardboard box with no branding, no presentation/storage case. I suspected that because so much of the Regal is customisable, these were simply parts which were picked up and boxed once the order came through. A nice presentation/storage case would have been great, considering the expense. I was a little disappointed. If i have something so great i want to show it. However it’s important to remember, I am reviewing a vice and not a box. I guess with every cloud, there’s a silver lining. First thing that struck me was the build quality. Setting it beside the ghostly remains of my budget vices, you could tell the difference straight away, right down to every last detail. Even the nuts and bolts were sturdier and the wear and tear on my old vice became more and more noticeable, as did the old weld joints, when sat alongside the Regal. It was very quickly assembled and within less than a minute (maybe even less again), it was ready for tying. Aesthetically, it looks the part. I am immediately drawn to the vintage Regal Engineering logo which stands out among the matte black of the jaws and the bronze of the pocket base pedestal. It is worth pointing out that the jaws come in other colours such as blues and greens but there is an extra cost for this cosmetic luxury. There are other options for having a clamp, vintage pedestal base or a pocket pedestal base. The pocket base was my choice, given that I could allocate some beads, hooks or even flies there when tying in bulk. Pedestal also allows increased mobility and a change of scenery when flytying begins to feel like a chore! This was the first time I had used a vice with a pedestal rather than a clamp. My concern was that there would be more movement. I was also fearful of the broken promises of a good vice with every other one which I had bought. Reassuringly i noticed non slip pads underneath the base and a quick placement on a slippery surface showed their purpose. After putting it to the test I couldn’t have been happier. After the super quick assembly, it was a matter of tilting the jaws to the right angle, securing with an alum key and simply pressing the leaver to open and close the jaws. It’s worth mentioning the power in the jaws. They appear as strong and definitely lock a hook in from small to large. Of course I have already used it with size 22 hooks going right up to a Size 1 brooch pin and found absolutely no movement with the jaws, or the shank which holds the jaws. My original fear of movement in the pedestal was immediately quashed. Absolutely no movement at while dressing a fly. Perfect! Almost 8 months in, I can hand on heart say that there hasn’t even be as much as a chip or a loss of power in the vice grip. One of the other things i do love is the fact i am not restricted to tying in one space, as you would be with a clamp. The pedestal has an old fashioned and antique look which means it looks well also and the pocketsI have found myself using the small pockets within the bronze pedestal a lot more. A feature that is handy when tying in bulk, whilst preventing continuous fidgeting, it keeps your work space clutter free. The vice head rotates to a point but is not a full rotary vice which i personally don’t see as a necessity. The standard Regal Medallion will rotate enough for your requirements. So could it survive the Apocalypse? I’d say it could. Many of the back patters who have applauded my decision to acquire the Regal, enjoy reminding me that they have at one stage either inherited or passed down a Regal which is over 20 years old. They have also reinfosced the point that they have not had to replace anything, adding that to make it last, you have to treat it with the respect it deserves, by looking after it. Whilst i don’t doubt that there may be perceived better value options out there, this was the only vice that met my specific requirements. In business, you wouldn’t employ somebody you felt wasn’t up to the job. I have already worked out that given the disappointingly short lifespans of my previous vices, i will see a return on investment in another 2 years. The sceptical readers will no doubt be saying, “Well a lot of these features are characteristics of any vice these days.” That is true and other cheaper vices can be customised and can have pedestals, but have they been around long enough to stand the test of time? Only time itself can answer that. But in a nutshell, i feel like i have made a sound investment. At the time of writing, i should already be midway through my 3rd vice by now! So for me it has currently survived the equivalent of 3 apocalyptic events. -Additional luxury parts can be overpriced e.g a coloured set of jaws will put almost £35($40-50) onto the price yet have the exact same design and build quality as a black set. As you can see, more pros than cons and most cons are cost related, but that does not mean the product doesn’t represent value. For me it does. If you want longevity and durability in a vice that does the basics right and sticks with tradition, then this will suit you. The word Regal is defined as, “being fit for a monarch“, so in this case, it is quite literally fit for a king! An example of one of the large brooches which have been crafted on the vice. For enquiries, contact me. in my mind i believe the new revolution vise is the most pracitile fly tying piece of equipment on the market.